Place the warm water into a plastic bowl. Sprinkle the yeast over the warm water, add the oil and vinegar and mix with a fork till the yeast is dissolved (about 1 min). Add the dry mix into this liquid. Mix with a sturdy spoon until a smooth dough is formed (or use an electric mixer with dough hook set on low speed for 3-4 minutes). Tip dough onto a very lightly floured board (rice flour is good and doesn’t cause flour dust, but any FG flour is O.K.) and shape to a smooth ball. Place dough – smoothest side up – into a warm, lightly oiled bread tin, or for a free-standing loaf, place onto a lightly oiled oven tray. Cover with a damp cloth and allow to rise in a warm place till dough more than doubles in size – usually about 40-60 minutes (less for rolls). Place into pre-heated oven and bake for 40-50 minutes at 210deg.c. (415 F) (Place a small oven-proof dish of water on base of oven to produce moisture while baking). Turn baked loaf out onto cooling rack and allow to cool (1-2 hours) before slicing or eating. For a crusty top, spray a little oil on before baking. 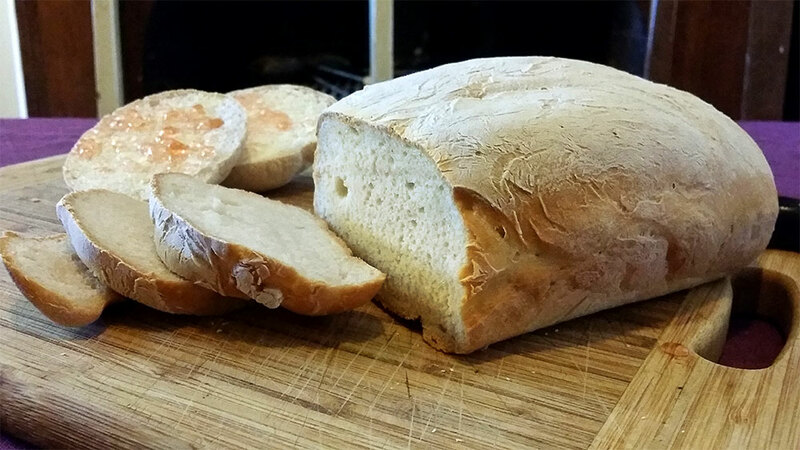 A dough which is too dry always causes a more dense and compact loaf of bread. Additional water is nearly always the cure for this problem, the mix always works better when the dough is quite sticky and difficult to handle you get more volume, a nicer crust, better flavour and shelf-life. We have also found, as a rule of thumb, that bread rolls require at least an additional 5% of water due to their relative larger surface areas. Due to the natural ingredients not, every bake will be an exact science but getting to know what you’re dealing with will go a long way to enjoying the outcome.